An easy-to-use mobile app, the Quick Estimate tool helps you calculate what to charge for a new cleaning job. 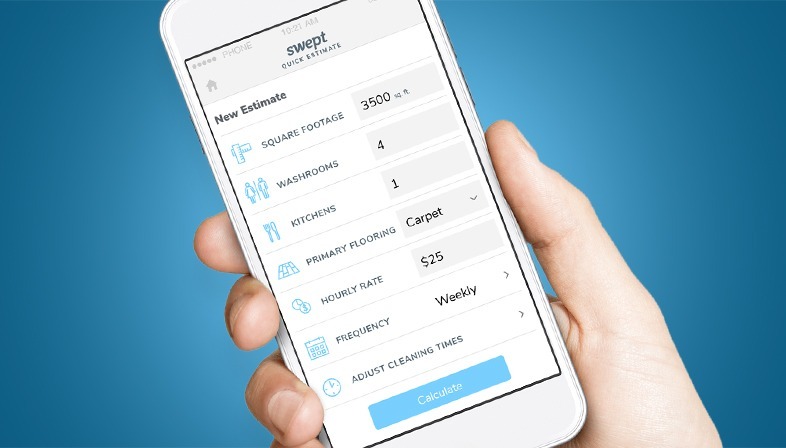 And because this brand new tool has just hit app stores, you’ll be among the first cleaning companies to have a quote calculator on their phone during a walk through. By showing potential customers that you’re ahead of the curve and willing to use innovative new approaches to save time, you’ll be sure to impress! 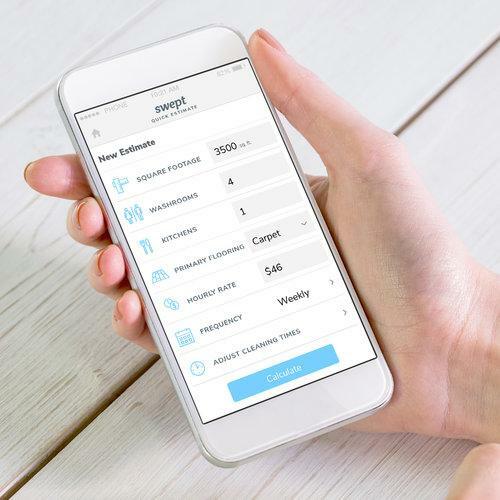 The Swept Quick Estimate app is free and available for both iOS and Android devices. Free Quick Estimate App – Sign up below and we’ll send you the download link. Free Quick Estimate App - Sign up below and we'll send you the download link.